Over the last 3 years, Los Angeles-based filmmakers Jaye & Adam Fenderson spent hundreds of hours filming a new documentary about educational attainment, with a focus on five U.S. cities—including Akron. Tomorrow night Three Frame Media is bringing “Unlikely” to Akron. 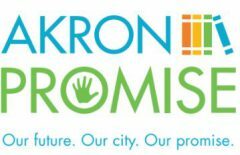 This film focuses on the reality of higher education by following students, two of whom call Akron home, through their own process at The University of Akron. The evening will include a pre-screening catered dinner reception in the lobby and the chance for the audience to connect with local schools, organizations and businesses and get resources for post-secondary and workforce opportunities. Doors will be opening the doors at 6 pm for a 45-minute reception featuring a local caterer. Click here to get your tickets. The screening will be followed by a townhall discussion who will share their expertise and perspective on supporting student success in the Akron community.